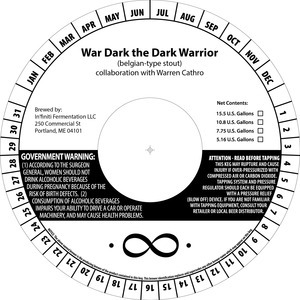 In'finiti Fermentation War Dark The Dark Warrior is brewed by In'finiti Fermentation LLC in Portland, Maine. This brew is served on tap. We first spotted this label on May 14, 2013.